January 9, 2011 /Photography News/ The modern concept of a circus as a circular arena surrounded by tiers of seats, for the exhibition of equestrian, acrobatic and other performances seems to have existed since the late 18th century. 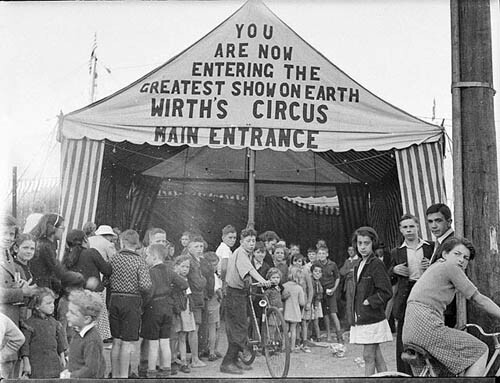 The popularity of the circus in England may be traced to that held by Philip Astley in London. The first performance of his circus is said to have been held 243 years ago today, on January 9, 1768. 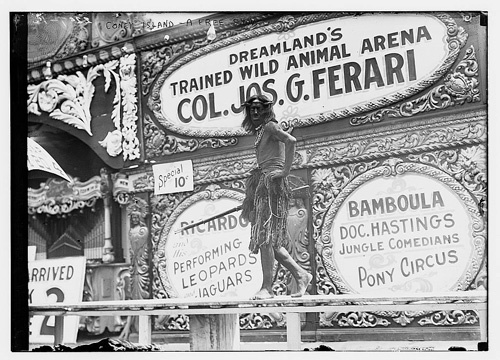 The earliest involvement of animals in circus was just the display of exotic creatures. As far back as the early eighteenth century, exotic animals were transported to North America for display, and menageries were a popular form of entertainment. Nowadays, in response to a growing popular concern about the use of animals in entertainment, animal-free circuses are becoming more common around the world. 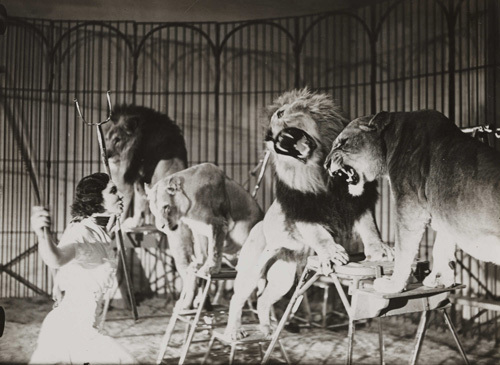 A lion tamer at Bertram Mills Touring Circus, Ascot. This photograph is from the Daily Herald Archive, held at the National Media Museum, UK. It is a collection of over three million press photographs, dating from c.1911-1970. Coney Island, A Free Show. Between ca. 1910 and ca. 1915. 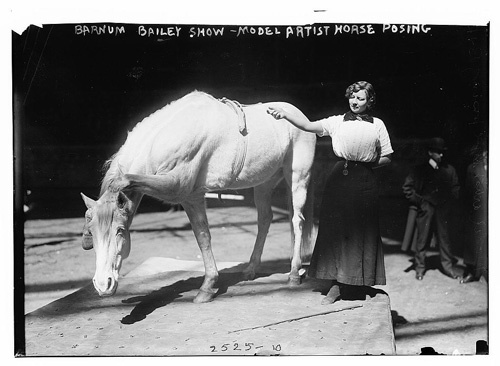 Library of Congress, Prints and Photographs Division, Washington, D.C.
Barnum-Bailey Show - Model Artist Horse Posing. Between ca. 1910 and ca. 1915. Library of Congress, Prints and Photographs Division, Washington, D.C. 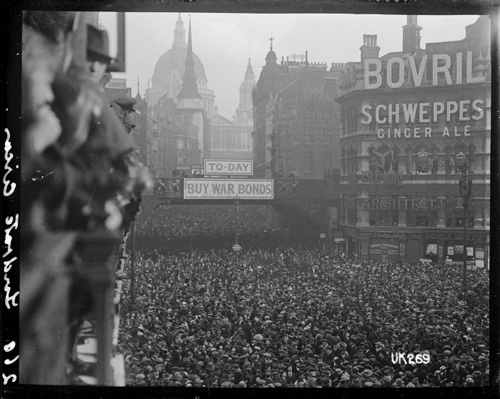 Crowd scene at Ludgate Circus, London, after World War I, 1918. Photographer: Thomas Frederick Scale. 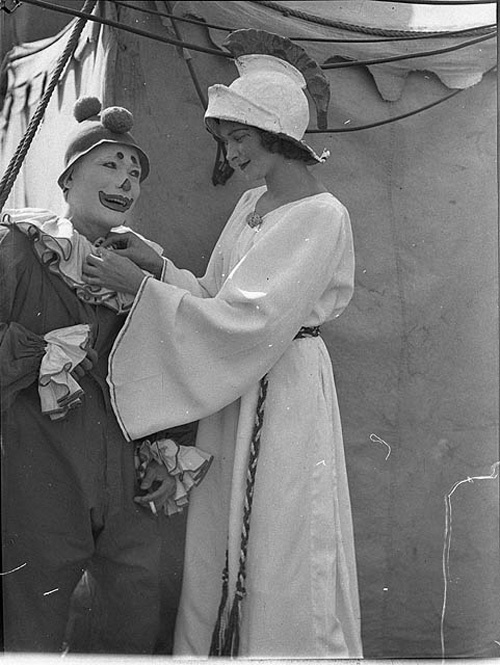 Royal New Zealand Returned and Services' Association Collection, Alexander Turnbull Library, National Library of New Zealand. 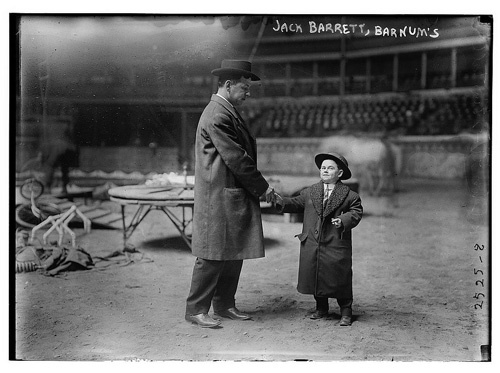 Jack Barrett [i.e., Barnett], Barnum's. Between ca. 1910 and ca. 1915. 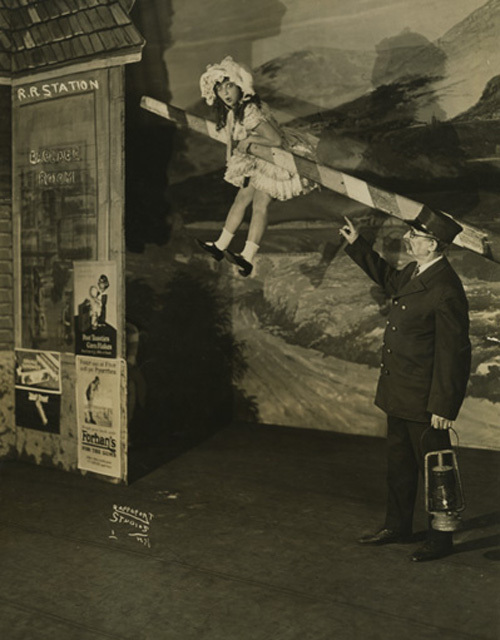 Photo shows Jack W.C. Barnett (right) who was a performer with the Barnum and Bailey circus. George Grantham Bain Collection (Library of Congress). 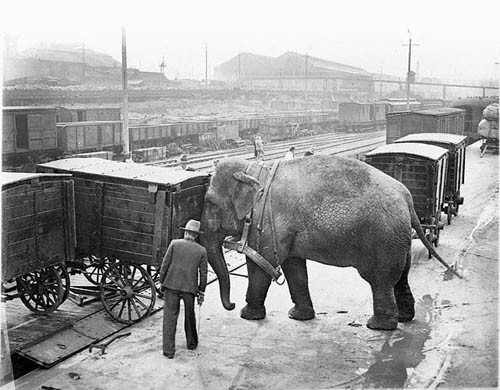 Elephant loading the train. Sydney, ca. 1932. Sam Hood. From the collection of the State Library of New South Wales. Wirth Circus Parade (Lord Mayor's Fund), 1941. Sam Hood. From the collection of the State Library of New South Wales. 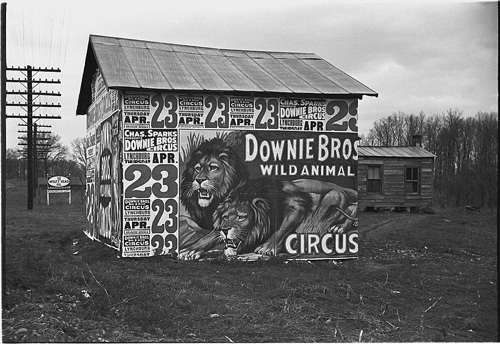 I'm an avid fan and collector of circus photography. Are these images copyright free? All these images are shared under a "no known copyright restrictions" license. The photos are intriguing; however, the sixth photo is not the same kind of circus, rather a road junction or intersection like Piccadilly Circus also in London.